Thanksgiving in the U.S. is about gathering together with friends and family and giving thanks for being able to stuff oneself with a huge meal. Its founding myth is the fateful meal shared by the indigenous peoples of Massachusetts with the starving English Pilgrims. The Pilgrims “gave thanks” at that meal for the generosity of their hosts, and thus was born the tradition of a November Thanksgiving feast. To my way of thinking, Thanksgiving should actually be a day of atonement marked by fasting, in the spirit of Yom Kippur, Lent or Ramadan. 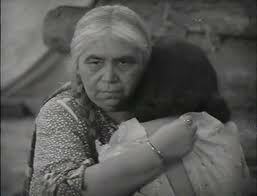 We Euramericans should be reflecting and repenting on this day for the way our ancestors turned on their Native hosts, once the time of starvation was past. We repaid their kind welcome with a shameful record of stealing, swindling, enslavement, displacement and deliberate infection. 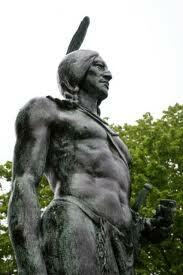 We waged vicious war that slaughtered children and old people along with warriors both male and female. We occupied their lands without a second thought, and proceeded to cut the primeval forests to make room for our livestock, roads and cities. This pattern started with the Puritan Pilgrims in Massachusetts, and spread inexorably West, all the way to California and Texas, where indeed the brutal work had already been begun by the Spanish. I don’t really expect Americans to give up the tradition of the jolly Thanksgiving feast. But we do need to be mindful of the real historical background behind the custom of gathering to celebrate with family and friends. 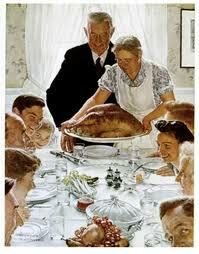 American Thanksgiving is a holiday that honors the spirit of sharing the bounty. When we dig into that heaped plate today, we should be giving thanks to the rich Earth that has nourished human beings for millennia, and for the Native peoples of this continent, who learned how to live in harmony with the flora and fauna of this place, cultivating the first corn, beans and squash, and craftily culling the abundant indigenous turkeys. And we should pause in our feast to reflect on the ignoble history that unfolded after that original Thanksgiving in Plymouth MA, where America repaid her hosts not with honor, but with persecution, scorn and hate. In the act of repentance springs redemption. The indigenous people of this continent are not gone–they are alive and well and living among us. Let us raise a glass to them today and give them the honor and thanks they deserve. Human beings are not lemmings–so let’s get organized and get away from that cliff! Well said. I only wish I’d read this article yesterday when I was looking for something meaningful and real to say at the dinner table! The first day of thanksgiving took place in 1637 amidst the war against the Pequots. 700 men, women, and children of the Pequot tribe were gathered for their annual green corn dance. Dutch and English mercenaries surrounded the camp and proceeded to shoot, stab, butcher and burn alive all 700 people. 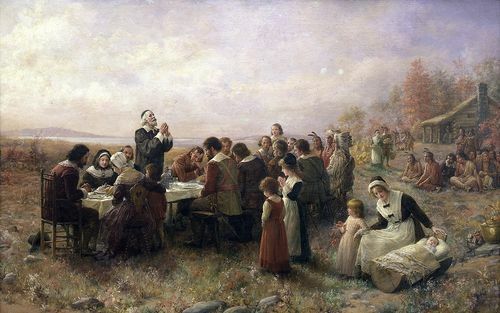 The next day the Massachusetts Bay Colony held a feast in celebration and the governor declared “a day of thanksgiving” for victory over the “heathen savages”. Well said Lois, more power to your organisation.